Tina, is the Creative Director of Roomie, an online professional interior decorating service which has a little something for everyone and in my case, I was drowning when it came to lighting!!! 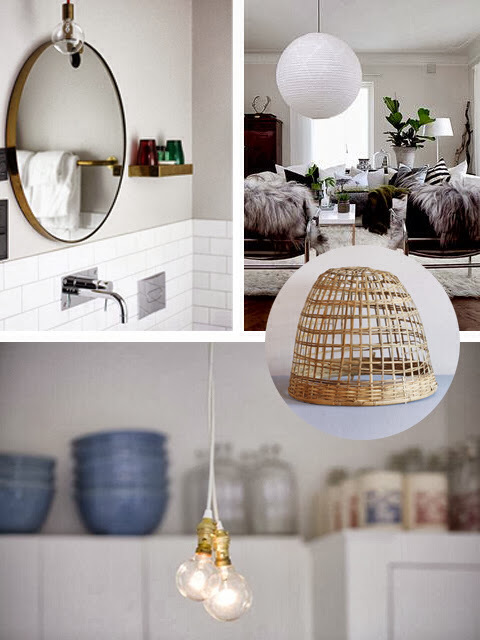 People say good lighting can make or break a home and when it came to flicking the switch (ok that is the last pun, I promise) on a lighting plan, we were failing miserably. I had a good idea of the aesthetic I was after but placement and clever thinking of 'where and why' was lost on me. Perhaps a downside to doing the build yourself is that you only have room for so many things in your brain. They say you have to build your dream house three times before you get it right....and here we are going for a hole in one. So with that being said, I knew I had to relinquish control of some areas and I KNEW lighting would be it. Now, some of you may be reading this and saying "oh no, Katrina! 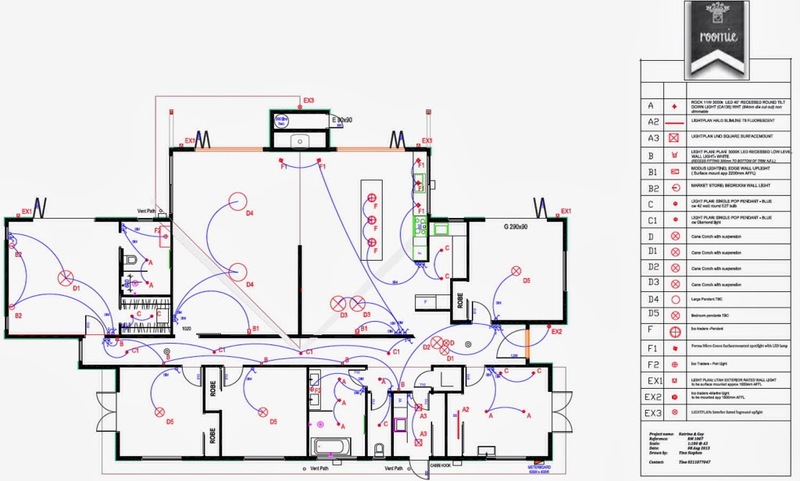 Don't you realise you can get free lighting plans from chain lighting stores" and I would answer.... Yes, yes I do.... And I did, and they were just never right. If lighting is as important as people say it is then I wanted someone to do it that REALLY got what I was trying to achieve with the style of our home, someone on my wavelength. I didn't want to be limited to what a lighting store had imported this year......plus if I had to look at one more "trendy" light fitting I was going to scream. I gave Tina a very small amount of info to get her started....I wanted a mixture of industrial lighting from Icotraders and natural textured shades to soften it slightly, as few down lights as possible and I also let her know that we weren't big on a LOT of light. Guy is forever turning off lights and switching on lamps.... so with that being said, she wove her magic and presented us with the most comprehensive and well thought out plan, budget and spec sheet than I could have ever hoped for. Seriously, blown away. This is a compilation of ideas Tina put together that were based on the very brief brief. Clever isn't she...... Just you wait. 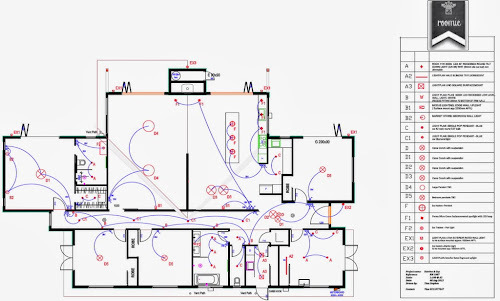 Meet our lighting plan.... (I hope it's clear enough for you) Each little code matches a light fitting that is on the spec sheet. It was so much fun referencing back and forth and getting a good clear vision of what the room will look like. Tina has made the most of our high ceilings by using up lights in certain areas that will wash light up and across the ceilings in the living room. 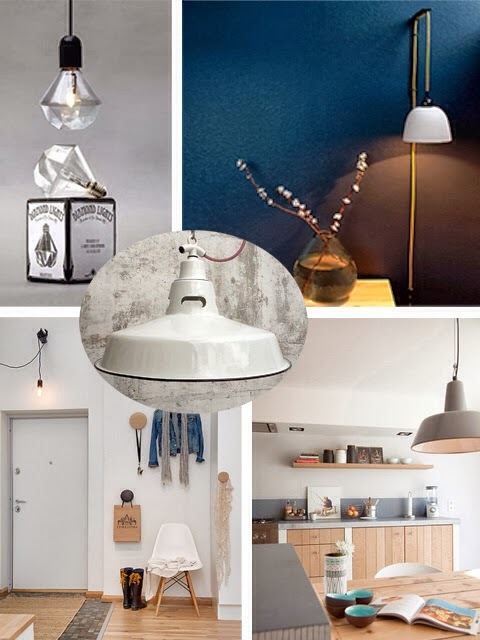 We will have a few pendant lights in the same area which will be on a different switch. I love that idea, a light room without the harshness of downlights highlighting every single downy eyebrow hair that hasn't been touched in 4months. Curse you non-dimmable downlights and your unforgiving shadows. I am so happy with the plan and could finally breathe out a solid exhale when it came to the lighting. Tina definitely got me, offered fantastic advice and is just really easy to talk to. To give you an idea of what the product and budget sheet looked like you can check out their Room Service page which offers you a break down of what you get... Look for "shop and budget" down the bottom, you'll see what I mean by well thought out and comprehensive. 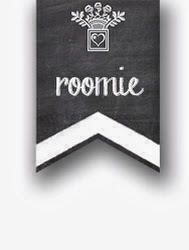 Roomie light is yet to be officially launched, roll on November. But that won't stop Tina from jumping on a lighting project for you now. Just email her through the Roomie website. Speaking of Room service.... Obviously lighting isn't the only trick up their sleeve. They have great interior design packages for those of you who need a little inspiration and ahem designer discounts....errrrm bonus! Whether it's just a bit of a kick start and some great ideas of what and where to shop or an all out room makeover that would make your friends think you should be on the The Block next year because you have mad skills. Roomie can and will hook you up. Click here for packages and pricing. So there you go, my little lighting secret...You don't need to thank me, sharing is caring. You can follow Tina on Pinterest and like Roomie on Facebook for some daily inspiration. Ha - clients like you light up my life Katrina!